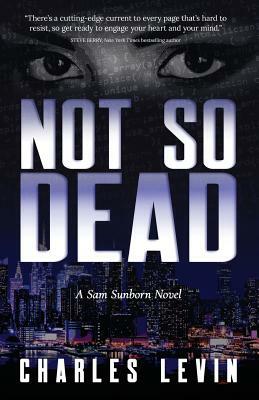 In NOT SO DEAD, our technologist hero and his quirky team achieve immortality by digitizing their personalities. What could go wrong? Clever and ruthless terrorists want it at any cost. A high-stakes cat and mouse game ensues with apocalyptic danger at every turn. Follow Sam Sunborn as he teams up with a real Einstein to give birth to an invention that could change the lives of everyone on the planet forever. Sam wants to help people through his invention, but lands up having to defend it and his family from the Leopard, a driven and demented terrorist, whose mission is to rein chaos and destruction on the Western World. Using the latest technology and a battle of wills and wits, Sunborn and the Leopard engage in an epic global clash. What disasters befall the innocent in the Leopard's wake? Can Michelle Hadar, a lowly grad student, and Rich Little, a talented Homeland Agent, possibly come to the rescue? Mysteries and surprises abound in this fast-paced thriller. Charlie's 20 year background in tech, degree in philosophy and love of fast-paced thrillers are the brew that created NOT SO DEAD. He lives in New Jersey with his wife, Amy, and has two sons, too far away in California.